Katy has owned Star since a two-year-old and leased him out to Harrison in February this year, while she happens to have Star’s sire on loan! She has competed at HOYS herself in the M&M Working Hunter Pony classes and won in 2009. This is the first time she’s had a pony on the flat at the Show. This was Harrison’s first ride at HOYS. “I can’t believe it, I’ve always wanted to do that! He was faultless,” he said, explaining that next year he hoped to start jumping more and do some Workers. 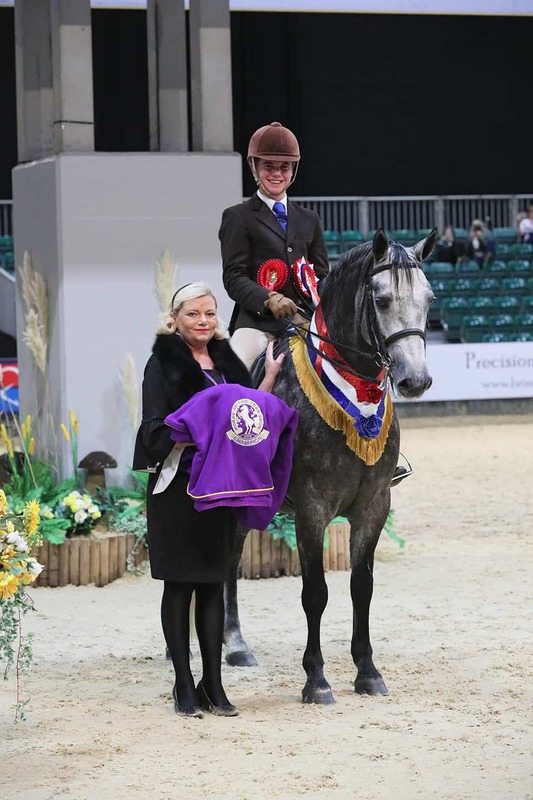 Michael Dunne and Vicky Harris were delighted to watch their daughter Marnie Dunne take the Reserve title with their own Thimbleby Black Magic – or Freddie, as he’s known at home. The nine-year-old Dartmoor gelding won the Small Breed section before standing Reserve Champion. They’ve had him for three years and also qualified for HOYS last year where they finished ninth in the same class. “He’s quite a character, loves people and constantly chats to you on the yard!” said Vicky. Second place in the Small Breeds went to the Welsh Section B, Skellorn Miss Ellie, owned by Kerry Wainwright and ridden by Grace Litherland. In the Large Breeds it was Welsh Section C Rivervalley Flash Jack owned by Janet Cox and ridden by Amy Tate.